You can embrace your dark lips with pride if you have a naturally dark skin tone, but those with lighter skin tones seldom like having dark lips. Dark, dull and discolored lips can mar your appearance and curb your confidence. Dark lips often contrast starkly with the rest of your complexion, giving you an odd appearance. The complexion of your lips can become unsightly due to dead skin build-up. Sun damage and lack of proper care can often make the condition more pronounced. If your lips are making a negative impact on your self-esteem, you can include some simple and natural ingredients in your daily beauty routine to get rid of the dark and dull complexion of your lips quickly. You may also need to detox your lips for a while. Avoid using any lip makeup for at least a month, as makeup products also play a key role in darkening or discoloring your lips over time. In the meantime, use only natural moisturizers to moisturize your lips and keep them hydrated. Here are two home remedies to lighten dark lips and get pink lips fast and naturally. 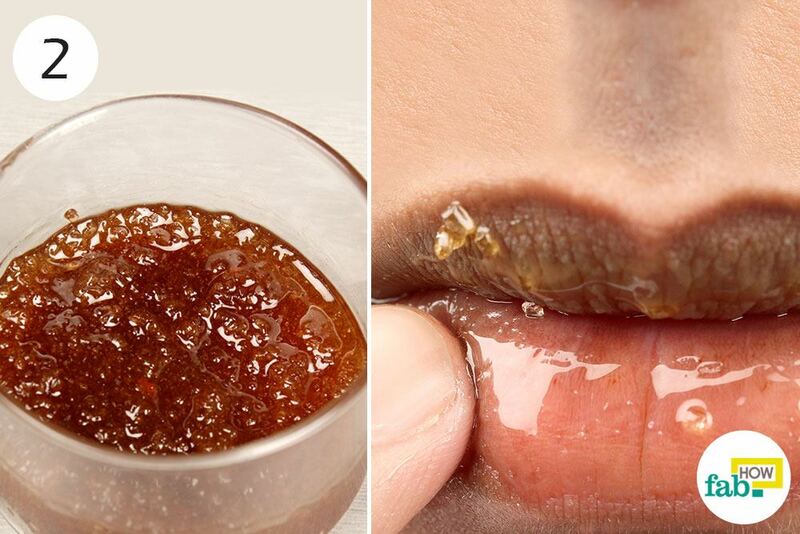 You can use a yummy honey and sugar scrub to give your lips a little TLC. This scrub is very gentle, making it well-suited to the tender skin of your lips. Sugar scrubs are best known for their efficiency in exfoliation. This scrub will gently exfoliate the dead skin cells, which often give your lips an unpleasant appearance. 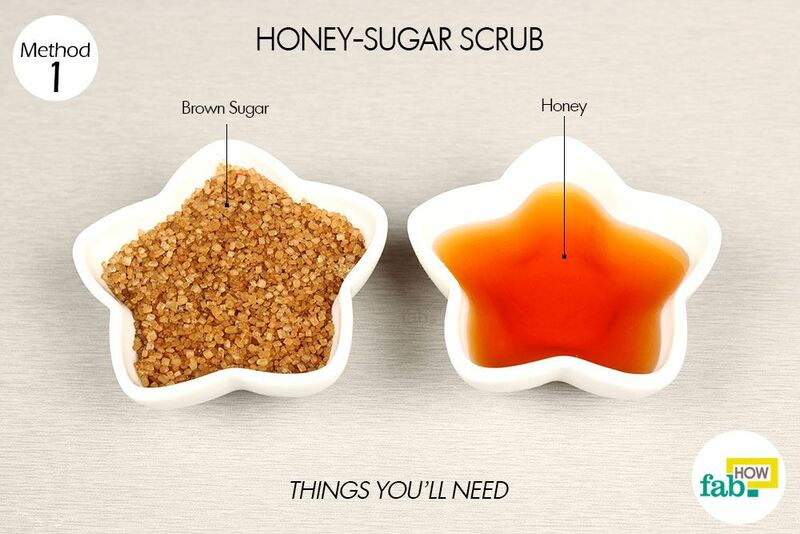 While you can make this scrub with white sugar, brown sugar is much gentler on the skin. It is also rich in antioxidants that protect your skin from ultraviolet (UV) damage due to sun exposure. The glycolic acid present in the sugar also conditions the skin and protects it from toxins. 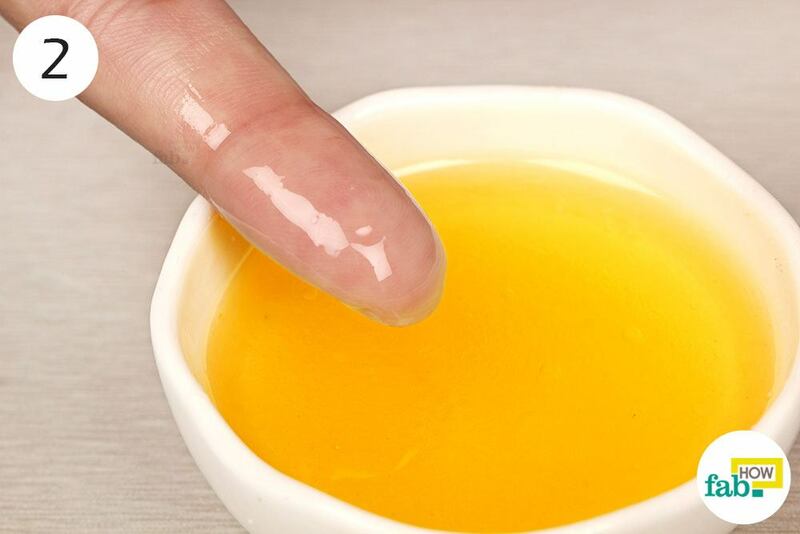 Honey is a natural humectant, which means that it attracts moisture. Honey helps keep the exfoliated lips hydrated and healthy. The enzymes present in honey also help lighten the skin tone of your lips. 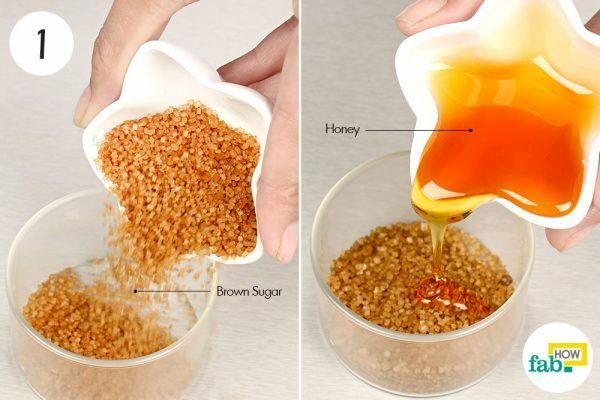 Put 1 tablespoon of brown sugar in a small bowl. Apply the scrub over your lips with your finger. Lightly massage it on your lips for 1 minute. The massage not only helps with exfoliation, it also improves blood circulation in the lips, making them healthier and lighter with time. Leave the scrub on your lips for a few minutes before washing it off with plain water. Repeat this remedy 2 or 3 times a week until you see noticeable results. Lemon is a wonderful skin-lightening agent. A natural bleach and skin toner, lemon juice is safe to use on many skin types. 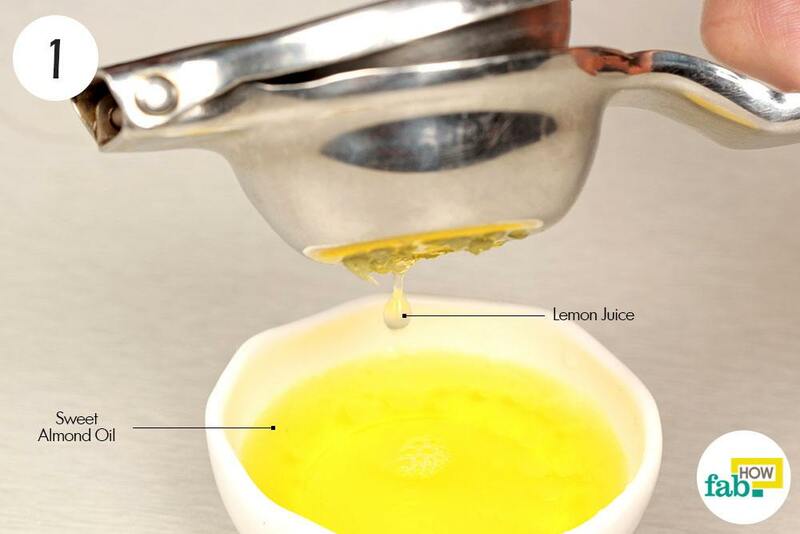 Lemon is an effective way to undo the sun damage on your lips and lighten them naturally. To prevent your lips from drying out, a good moisturizer like sweet almond oil is needed. Sweet almond oil hydrates your lips from within and helps even out their complexion as well. Squeeze the juice from half a lemon into 1 tablespoon of sweet almond oil. Mix the two thoroughly with a spatula or your finger. 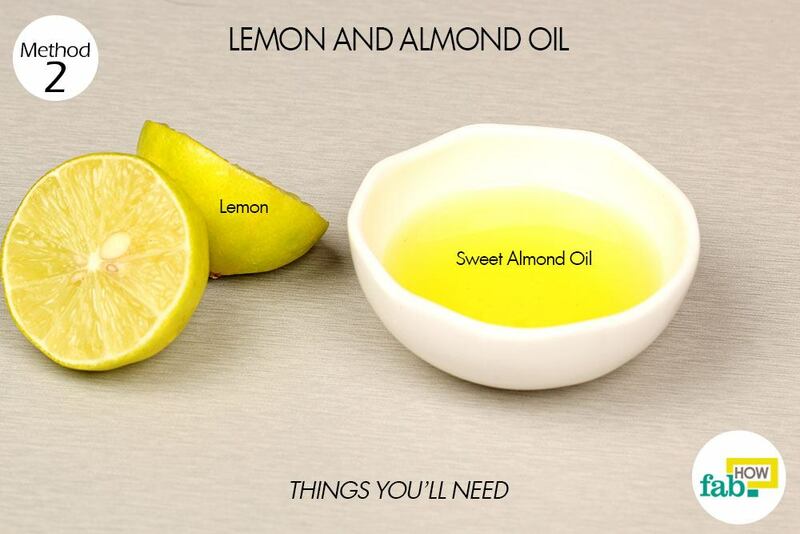 Take a little of the almond oil and lemon juice mixture and lightly massage it on your lips. For best results, leave the mixture on your lips overnight. 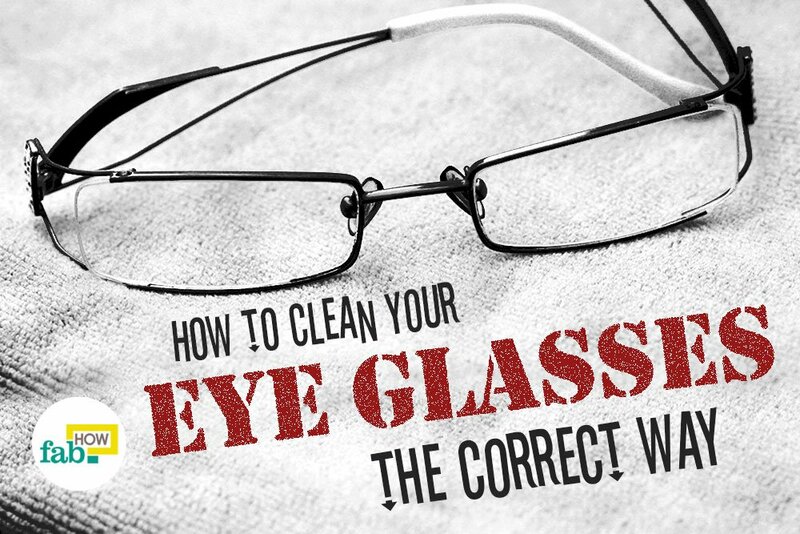 Repeat this process every night for 3 to 4 weeks to notice a significant change. Resist the urge to lick the sweet honey-sugar scrub off your lips. The saliva will dry out the freshly exfoliated skin of your lips, making them chapped and dry. Commercial lip balms often contain chemicals that can make your lips dull over time. Try using lip balms made from natural ingredients or use a homemade lip balm. You can also use the juice of fresh mint leaves mixed with lemon juice and honey as a lip brightener. If you have a habit of licking your lips, you’ll need to kick it to the curb, as the saliva makes the lips chapped and dry, making them dark and dull over time. Wear a good sunscreen to protect your lips from sun damage and keep your body hydrated. If the darkness of your lips is genetic, there may not be much that you can do about it. Cut down on your smoking as well as caffeine and alcohol intake. Always remove lip makeup before going to sleep. Never use any expired lip products. Throw them out instead. Im so glad my friend send mesite for me….thank you and continue your good work…God bless. How many days it takes to see improvements? And what are signs that treatment is going well or improving? It would take 2-3 week for visible changes to take place.Signs for a positive treatment may include soft color change to your lips. We hope the remedies help you. what if i make use of white sugar,will it still work? You can use white sugar as well. But for best results use brown sugar. No no, not at all. Your lips won’t turn black once you stop using these methods. However, regular exfoliation will help you get rid of dead skin from time to time. Can I get my natural lip colour back. I used lemon on my lips for four days in a row and didn’t think it would be as strong as it was. If I stop using altogether will it fade in time or wear away or is it permamnent forever. I really think lemon isn’t good for the lips I wish I knew before. Also is there a way to make lips darker and not so pink. Thankyou. Thank you for the query. We do not advise the use of lemon directly on lips. The best you can do now is to use a sugar scrub to exfoliate your lips gently and use a natural lip balm/coconut oil/almond oil to keep it smooth.